Without mana to burn, Anti-Mage’s damage in the early game is very poor. With a Soul Ring you have a regular source of mana to harass him while being unaffected by his Mana Break damage the rest of the time. With most of the heroes explained below, you desire to rush this item as soon as possible to win the lane versus AM. Overwhelming Odds is an ability often undervalued in pub games. If you can target the creeps plus two heroes, It can deal over 400 AoE damage once maxed out. If Anti-Mage dares to auto-attack you, just draw the creeps aggro and fight back exploiting the extra attacks produced by Moment of Courage. In the worst scenario, you have Press the Attack for self-healing. It also removes any debuff applying a strong dispel on yourself. Duel is also a great Blink counter in the late game. You can block AM in place for 5.5 seconds (8 with the Aghanim’s Scepter) and get rid of him with the help of the team. Axe has one of the highest base health regeneration in the game - 4.25 HP/sec - so he can tolerate a considerable amount of harassing. He isn’t mana dependant, so losing all of it via Mana Break isn’t a huge issue, and you can use the Soul Ring whenever you need to taunt with Berserker’s Call. Anti-Mage doesn’t want to hit you as his attacks could proc Counter Helix. It inflicts pure damage which isn’t reduced by Spell Shield. Berserker's Call is a solid counter during all the game as it can prevent any escape via Blink. Buy an Orb of Venom and harass Magina. Try to slow him every time he decides to last hit a creep so he will miss some cs. Thanks to Untouchable's attack speed slow he really can’t fight you during the lane phase. Nature's Attendants for self-healing if the enemy supports pull off a successful gank. Once you are out of mana, Anti-Mage can’t cause any harm as Reactive Armor will stack armor and health regeneration. Use the Soul Ring to get mana whenever you need to escape with Timber Chain, or harass with Whirling Death. Whirling Death reduces the enemy hero primary attribute by 15% for 14 seconds. AM will lose both damage and attack speed, so any last hit will be more difficult. Similarly to Timbersaw, Anti-Mage right click isn’t a problem once you are out of mana, and Kraken Shell also provides extra damage block. Anchor Smash reduces the enemy attack damage, so he will have further troubles when last hitting. BM isn’t a direct counter, but considering AM single target damage, she can easily win the lane if he has no supports with AoE abilities that can quickly dispose of her Spiderlings. An amazing offlaner that can counter any melee right-clicker. I featured him as a top strength hero of this patch. His skill Drunken Haze debuffs the target with a 70% miss chance for only 25 mana. 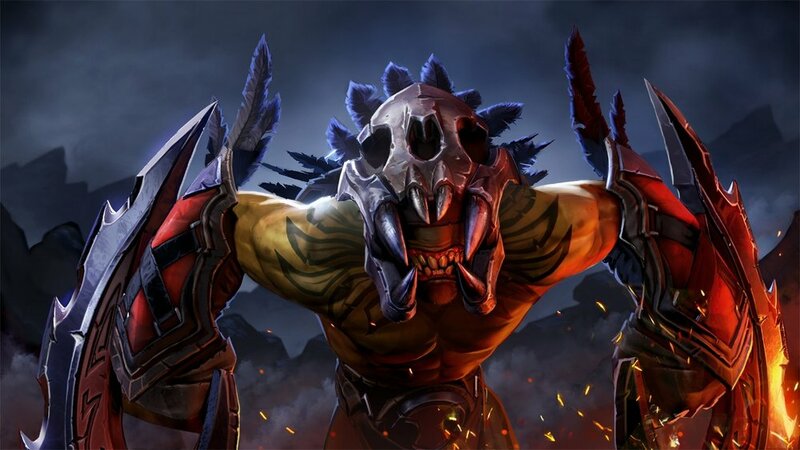 These heroes can influence the creep equilibrium, pushing the creep waves near their tower, denying potential experience and gold, and creating better opportunities for ganks. Lich thanks to Sacrifice. Also, the creeps converted don’t count as denied and don't give any experience to the opponent. Nature’s Prophet and Lone Druid can pull the enemy waves with the Treants and the Spirit Bear. Enigma can deny his own creeps via Demonic Conversion. The Eidolons also deal a lot of damage, thus neither AM nor his supports can carelessly trade hits with you. Some players believe that Dark Seer is the ultimate answer against any melee hero in the lane phase, but this is not the case. Ion Shell is efficient only if Magina doesn’t level up Spell Shield, but any expert player will adapt his skill build and prefer the magic resistance to deal with it. Also, AM can burn all your mana. Dark Seer can use a Soul Ring, but a single Ion Shell isn’t a threat against an Anti-Mage with extra magic resistance. Underlord is another popular pick that I sincerely dislike. Firestorm is a great ability to zone out the opponents. You can spam it on the creep waves and empower your damage thanks to Atrophy Aura: AM can’t trade hits with you as you will harm him more. On the other hand, you will push the creeps near the enemy tower. Anti-Mage has issues last hitting under tower in the early levels due to his low damage (49-53) and might lose many cs. But, playing in such an offensive position, you put your life in constant danger. Map vision and more communication within the team are necessary to avoid ganks. GLHF in pubs. Terrorblade works only against inexperienced players, and definitely needs a support with him. Reflection creates an invulnerable illusion of all nearby heroes, and AM’s one will also proc Mana Break. If he doesn’t skill it, the illusion won’t burn mana as well. If you prefer to counter Anti-Mage as a carry, Phantom Assassin is a great choice. Why is Anti-Mage so strong in 7.07? Anti-Mage surpassed the 58% win rate and 28% pick rate in pub games. Let’s figure out why he is such a powerful hero in the Dueling Fates update. Phantom Assassin is one of the best carries to counter Anti-Mage. PA can kill AM with her burst physical damage, and chase with Phantom Strike if he tries to blink away. Anti-Mage - Aghanim’s Scepter or Linken’s Sphere? On Anti-Mage, the Aghanim’s Scepter and the Linken’s Sphere are great situational items to boost your survivability. Let’s find out which one you should prefer. I do not consider Axe a threat because he works only against certain lineups. Let’s analyze the best heroes to counter him and the items you must prioritize.